Great staff and excellent equipment , only problem is not enough hours available on weekends. Attended a yoga class as part of my annual Panorama membership. Appeared quite popular as the room was packed. Was a quite welcoming atmosphere, with everybody from beginners to very experienced yoga practitioners. An enjoyable experience. Took two pottery classes; throwing and hand-building and have been hooked ever since. 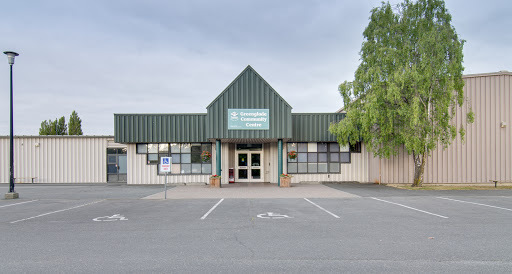 Greenglade is a wonderful facility, with lots of activities, including exercise classes, a full fitness area, kids programs and a well-managed pottery studio with 6 wheels, a slab roller and lots of mentors. The CRD is a local government that delivers 200+ local, regional and sub-regional services for residents of the region, including 13 municipalities and three electoral areas on southern Vancouver Island and the Gulf Islands. Governed by a 24 member Board of Directors, the CRD is working to serve the public, and build a vibrant, livable and sustainable region.